VMworld Europe is arguably the largest infrastructure event on the calendar, dwarfed only by its US counterpart held in San Francisco. With 9,000 people in attendance, as well as hundreds of vendors, VMworld is a melting pot of IT professionals, hungry to explore the challenges and solutions on offer. 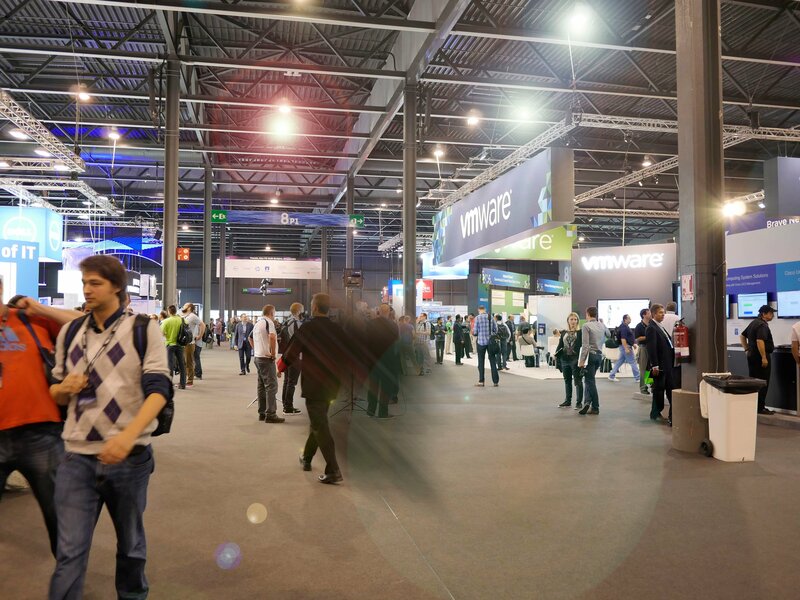 Here are some of our key takeaways from VMworld Europe 2014. There is nothing Americans like more than a good metaphor and VMworld Europe 2014 was full of them. Metaphors, similes, analogies, idioms, adages and hyperboles were rife amongst the keynotes. The IT landscape is akin to water, ever-changing, fluid, dynamic; datacentres are like eggs, hard on the outside and ‘gooey’ on the inside; we are ready for this ‘brave new world of IT’. Even the event slogan – ‘No Limits’ was reminiscent of t-shirts worn by snowboarders. Once these grandiloquent concepts have been distilled and the encoded aphorisms have been deciphered, the overarching theme of conference becomes more apparent. There are three core areas of focus for VMware – the software-defined datacentre (SDDC), hybrid cloud, and end-user computing (EUC). VMware envisions a future where the focus is on applications rather than the IT infrastructure that supports them. The virtualisation powerhouse believes firmly that these applications will be increasingly deployed in hybrid environments and is aligning its portfolio to ensure that its ambitions for the software-defined data centre are met. There was one maxim from CEO Pat Gelsinger that seemed to resonate well with attendees and that was ‘the power of and’. Tomorrow’s IT infrastructure needs to be able to support both on-prem and off-prem; it needs to be secure and elastic; from a business perspective flexibility is key and Gelsinger was keen to assure attendees that VMware understands this. It’s entirely possible at such an event, to get completely carried away with blue sky thinking, looking at where the future is heading, rather than asking what is being done to bring tomorrow’s vision into the present day. 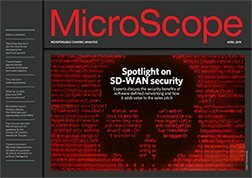 So what exactly is VMware doing to service the now? To VMware’s credit, it is taking bold steps to bring its vision to market, the most tangible of which is undoubtedly the launch of EVO. The family of hyper-converged products essentially bundle hardware and software into a single integrated solution. The EVO:RAIL is a solution for mid-range needs that allows customers to begin building VMs in 15 minutes or less, according to Gelsinger. The EVO:RACK is EVO:RAIL’s bigger brother and while still in tech preview stage, enables businesses to scale out SDDC infrastructure, going ‘from zero to app’ in two hours or less. VMware has been on a bit of a rebranding warpath in recent months and while a name change is often little more than an exercise in futility, the changes do – for once – have some logic behind them. As VMware began to execute its SDDC/hybrid strategy, the solutions started to look disparate. The rebrand reigns in these offerings and begins to create a holistic set of solutions, aligning themselves with the end-goal. It can be difficult to keep up with the constant rebranding, but having seen the solutions demoed at VMworld, there is a method to the madness. vRealize Suite is perhaps the best example of this; solutions such as vCloud Automation Center, vCenter Orchestrator, vCenter Log Insight and IT Business Management Suite all now fall under the vRealize umbrella. One cloud management suite for all clouds – be they public or private. While it might be hypocritical to use a metaphor at this stage, it’s like Adobe’s Creative Suite but for cloud administration. vCloud Air, formerly known as vCloud Hybrid Service (and endearingly known as vCheese) received a significant amount of airtime from the speakers. vCloud Air allows VMware customers to move workloads between on-premise and public cloud without the costs of replatforming applications or investing in new infrastructure management. When compared side-by-side to other public cloud offerings such as Amazon Web Services (AWS), vCloud Air still lacks on the feature front; however, VMware customers and partners remain enthusiastic. vCloud Air underlines VMware’s commitment to ‘the power of and’ – applications need to be able to transition between private cloud and the public cloud. 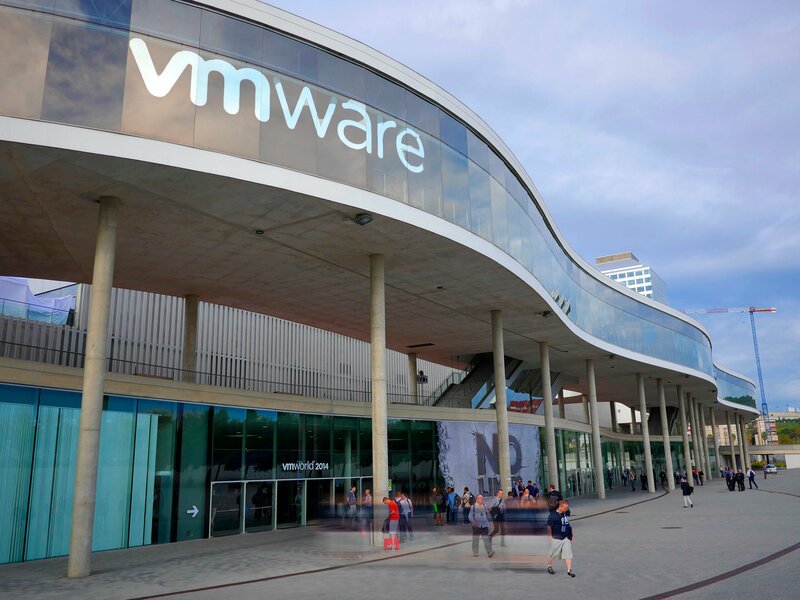 The announcement that VMware will be adding a datacentre in Germany is welcome news. The UK government's recent track record has resulted in many European businesses seeing Britain as something of a 51st state and so they will be happy to hear that their data can now reside in Germany. One of the many announcements that was made in San Francisco and then reiterated in Barcelona was OpenStack support and Docker containerisation. Running on native vCenter infrastructure and integrated into the vRealize Suite, the VMware Integrated OpenStack (VIOS) has divided opinion. On the one hand, the news is a welcomed shift towards a more open ethos; a realisation that the future of IT is much more heterogeneous and VIOS shows a willingness to adapt from VMware. On the other hand, there are those that feel that VMware, aka the establishment, are commoditising the very thing that was designed to free people from the constraints of proprietary infrastructure stacks. The reality is VMware is doing exactly what it has to do – for the business and for its customers. Ignoring OpenStack is not an option. At the same time, OpenStack is a framework rather than an end-to-end solution and this is where VMware sees itself adding value – providing the underlying components. Other exciting news included further details on the VMware partnership with NVIDIA to deliver professional graphics applications on virtual desktops. NVIDIA GRID vGPU enables multiple machines to share a single GPU’s resources and when paired with VMware Horizon, enables even the feeblest of laptops to run the most intensive of graphics applications. Airbus Group, CH2MHILL and MetroHealth were announced as the companies to join VMware and NVIDIA's early access programme. They will work with NVIDIA and VMware to get the solution ready for market. VMware is an unrelenting assault on the senses, but a great chance to meet with vendors, partners and customers. Speaking to decision makers and IT professionals, there is a definite consensus that the IT landscape is rapidly changing. But there is also a sense of excitement in the air. A sense that they are up for the challenge and that vendors, distributors and other providers are taking the necessary countermeasures to ensure that their solutions meet the needs of the modern business. In fact, there is almost no better way to say it - a sense that there are no limits in this ever-changing, fluid, dynamic and brave new world of IT.